CLEVELAND, April 9 /PRNewswire/ -- The greeting card aisle has always been a good place to look for supportive sentiments, and now finding the right words to inspire has become even easier. American Greetings Corp (NYSE: AM) has introduced a new collection of cards from pastor, New York Times best-selling author and inspirational speaker, Joel Osteen. The cards feature the powerful words and inspirational messages that have made Osteen so popular across the world, among people of all faiths and backgrounds. These new cards come at the perfect time for shoppers hoping to send a particularly meaningful Easter greeting and can be found at your local Walmart store. Additional cards featuring Joel Osteen will be available for everyday sending occasions and holidays throughout the year. "People around the world embrace Joel Osteen's guidance as they experience the joys and challenges of every day life," said Charlotte Bean , manager, business development at American Greetings. "His optimistic spirit, deep faith and inspirational messages resonate particularly well today, as consumers look for ways to encourage one another, and share appreciation for the relationships that help sustain them through good times and bad." "Victoria and I are pleased to work with the fine people at American Greetings on this new faith-based line of greeting cards," said Pastor Joel Osteen . "It is our hope that they will bring loved ones closer together, that they will provide a hopeful word to those that need it, and that they will inspire everyone to consider and appreciate the important people in their lives." Osteen has committed to give 100 percent of his proceeds from the greeting card series to Nashville, TN-based Mercy Ministries of America. Mercy Ministries is a Christian-based residential counselling program that has been serving young women in crisis for more than 26 years. "This support from the Osteens means so much," said Mercy Ministries' founder and president Nancy Alcorn . "We rely on the generosity of our supporters to make our work possible, and thanks to Joel and Victoria Osteen , Mercy Ministries will be able to reach many more young women who are struggling with life controlling issues." For more than 100 years, American Greetings Corporation (NYSE: AM) has been a manufacturer and retailer of innovative social expression products that assist consumers in enhancing their relationships. The Company's major greeting card brands are American Greetings, Carlton Cards, Gibson and Recycled Paper Greetings, and other paper product offerings include DesignWare party goods, American Greetings and Plus Mark gift-wrap and boxed cards and Date Works calendars. American Greetings also has the largest collection of electronic greetings on the Web, including cards available at AmericanGreetings.com through AG Interactive, Inc., the Company's online division. AG Interactive also offers digital photo sharing and personal publishing at PhotoWorks.com and Webshots.com and a one-stop source for online graphics, animations, and more at Kiwee.com. In addition to its product lines, American Greetings also creates and licenses popular character brands through the American Greetings Properties group. Headquartered in Cleveland, Ohio, American Greetings generates annual revenue of approximately $1.8 billion, and its products can be found in retail outlets domestically and worldwide, including Company-owned American Greetings and Carlton Cards stores. For more information on the Company, visit http://corporate.americangreetings.com. Since 1983, Mercy Ministries' free-of-charge, voluntary Christian counseling program has served a diverse population of young women from various socio-economic backgrounds, ages 13-28, who face a combination of life-controlling issues such as drug and alcohol abuse, addictions, depression, eating disorders and unplanned pregnancies. Mercy Ministries of America has residential treatment homes in Monroe, La. ; Nashville, Tenn.; and St. Louis, Mo., with a future home set to open in Lincoln, Calif., in 2009. Mercy Ministries has global affiliates in the United Kingdom, Australia, New Zealand, Canada and Peru. 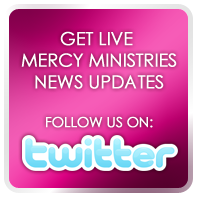 For more information on Mercy Ministries, please visit www.mercyministries.com.